Wow. It feels like forever since I’ve a done a Dark Side of the Fridge post. And it probably has. Nonetheless, I’m adding a new basic cooking skill to the mix. The idea, as I have explained before, is that there’s a world of difference between cooking and simply following recipes. 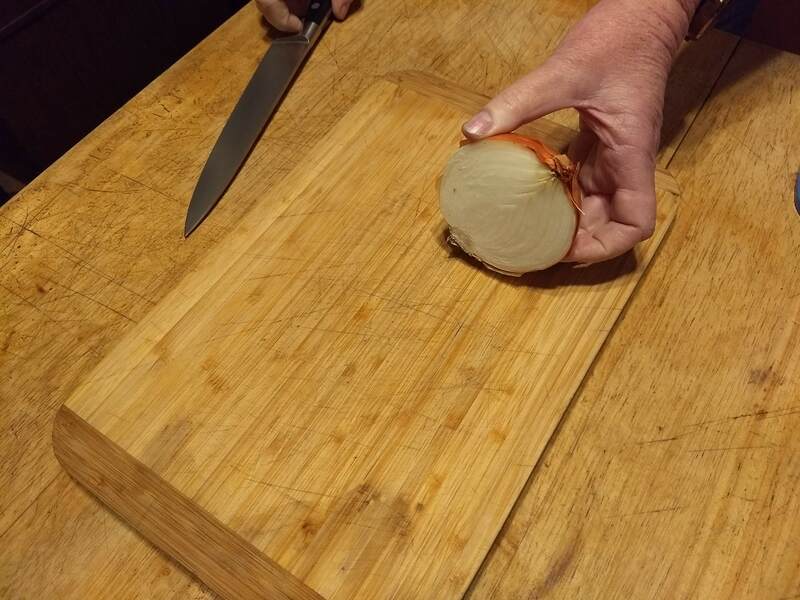 So the more basic cooking skills you have under your belt, the easier it is to adapt recipes and to get a healthy dinner on the table fast. 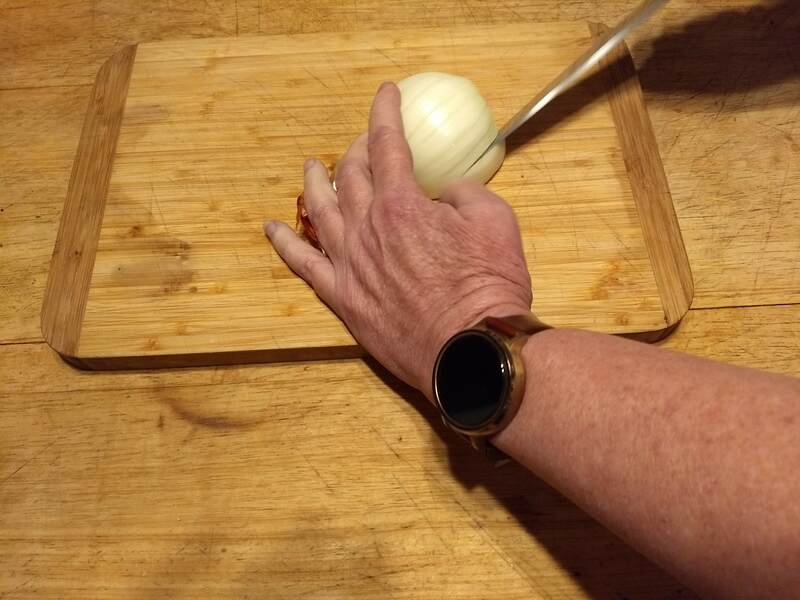 Since an awful lot of dishes, from soups, stews and casseroles, start with chopped onion, it only makes sense to focus on getting one chopped evenly and quickly without loss of digits or skin. 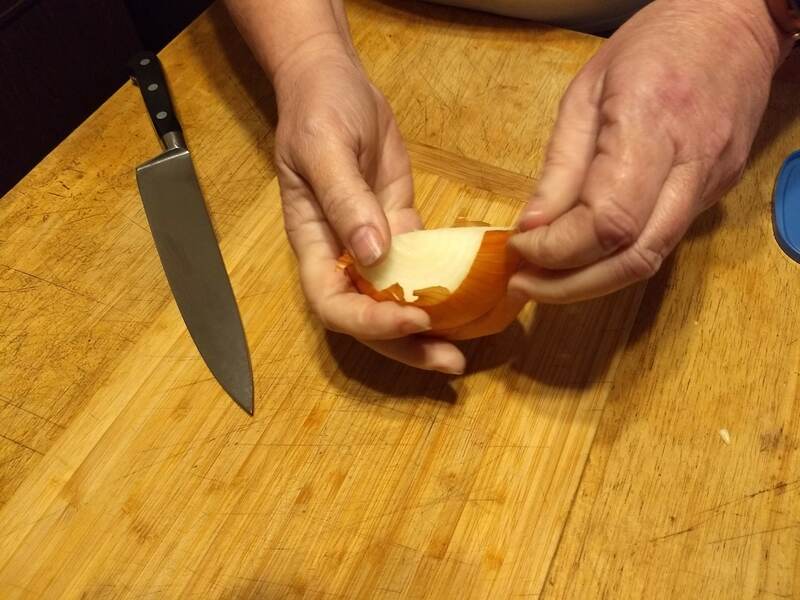 Then cut off the stem end (it’s the end that does not have all the scraggly root bits). 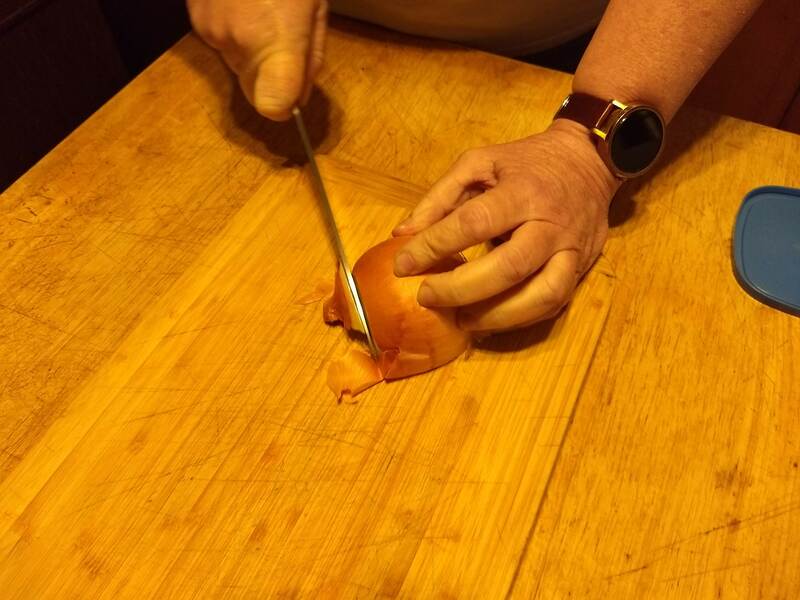 Next, lift and pull back the papery peel. 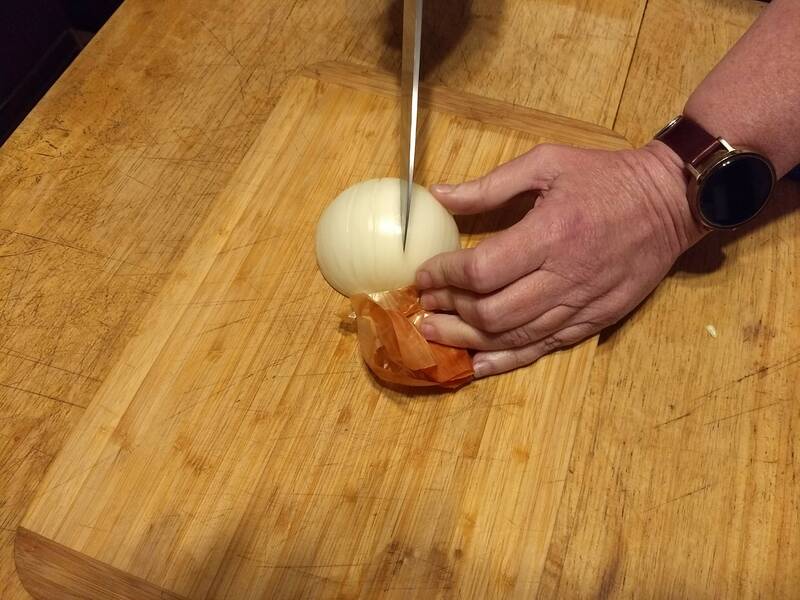 Now, placing the knife edge perpendicular to the onion, make a series of radial cuts around the onion half. And here. 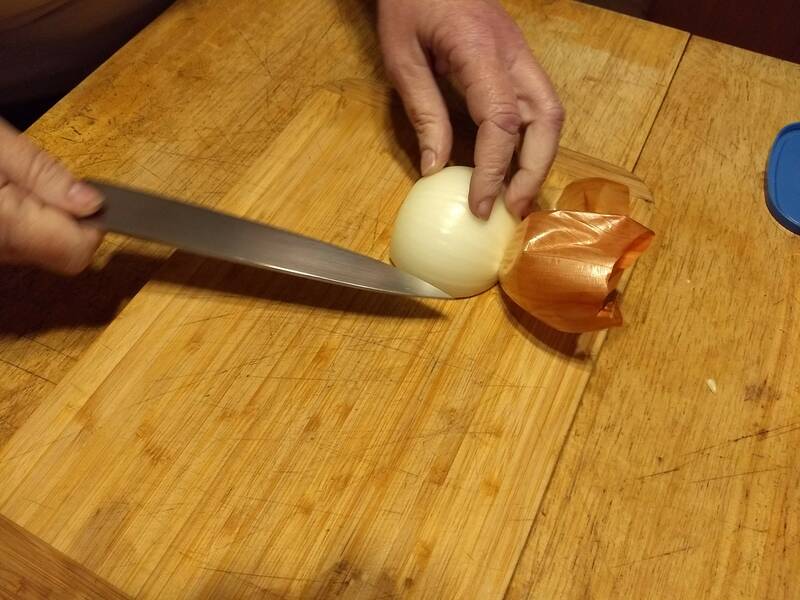 If you look closely, you’ll see that I’ve made lots of cuts, about a quarter inch apart, all along the onion half. 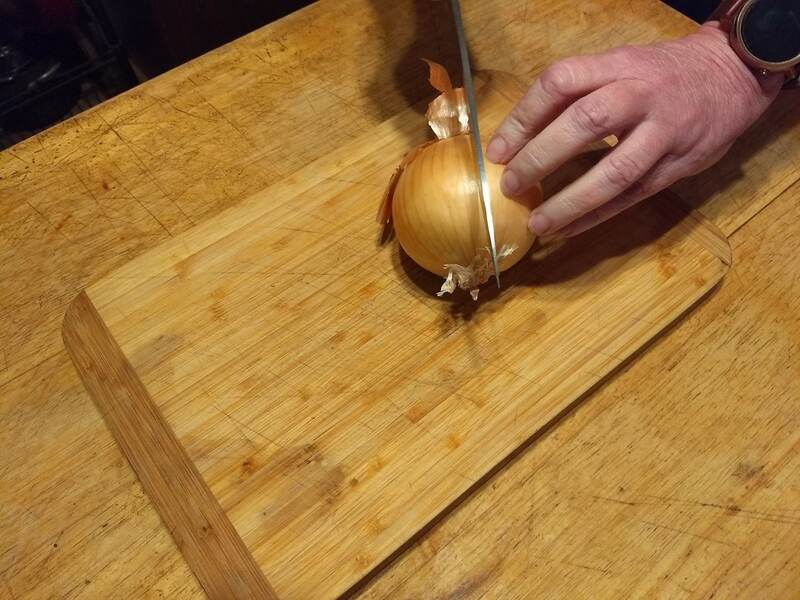 Now, slice the onion across the rings. 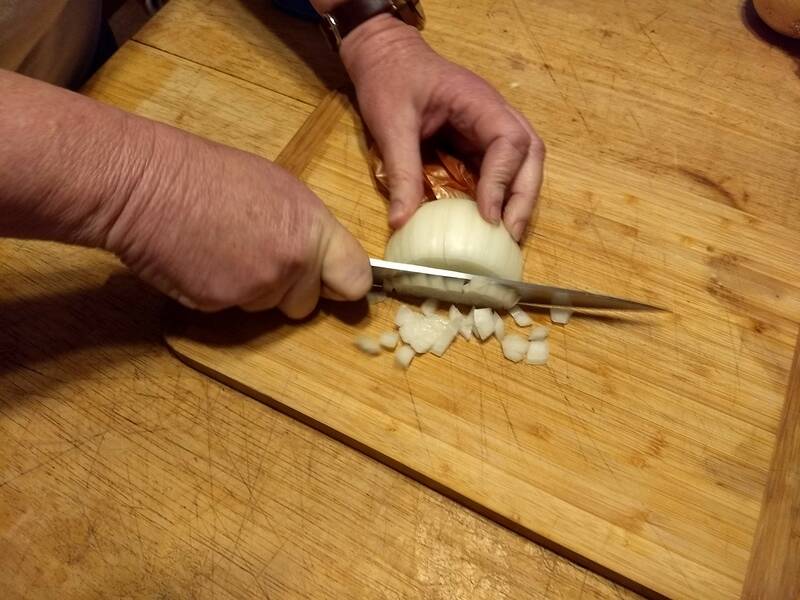 See how the little diced bits just fall off the knife. Ta dah! 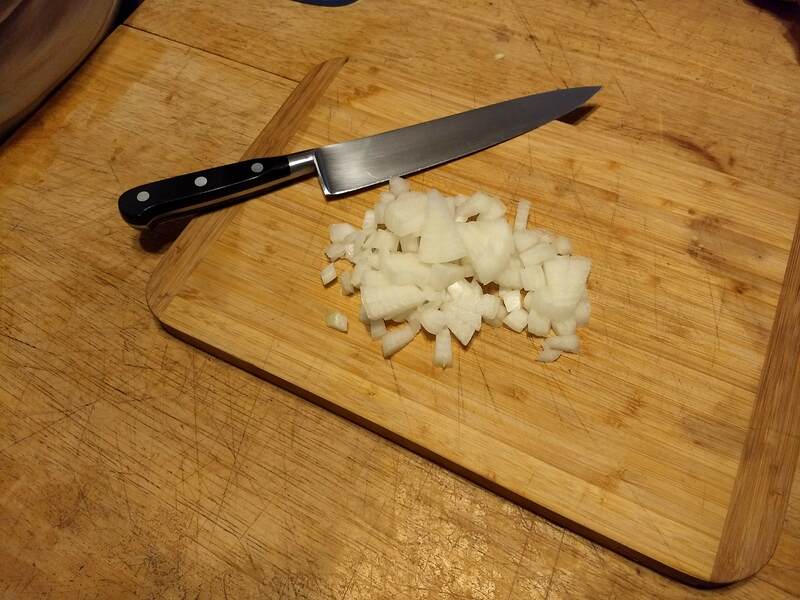 A perfectly diced onion, ready for the pot. And in about two minutes, too. Okay, it may take you a little longer, but don’t worry. 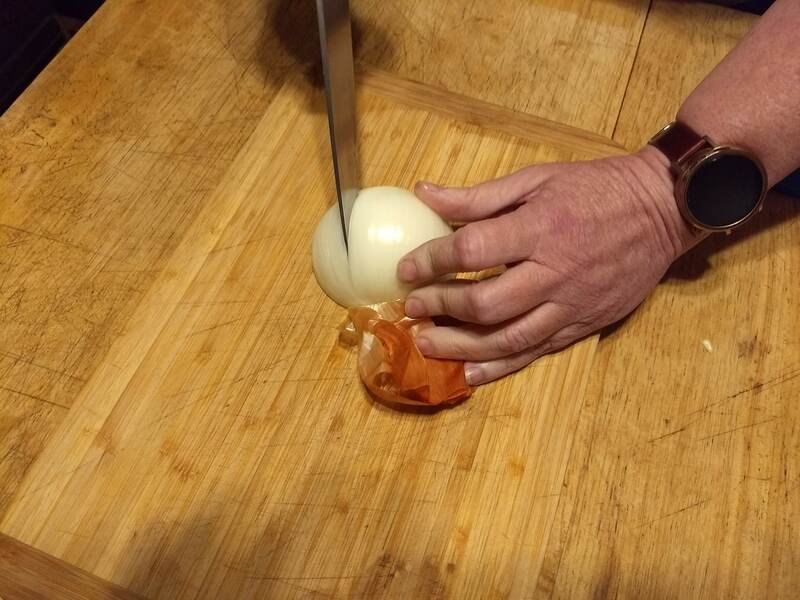 Keep cooking and you’ll get plenty of practice.